The Western Conference Predicted Top 8. Initially I wanted to keep the #3 from last year out of the Western Conference playoffs this year. They lost their coach and best player. Usually that does not bode well, but Denver solved this problem. Brian Shaw was the best available coach and they went out and got him. They also signed Nate Robinson and JJ Hickson, two high energy solid players. Denver is still a young, athletic team, that can run 12 deep. Also there home court advantage cannot go on noticed. Look for Denver to get it to the playoffs this season. Look for the T-Wolves to make the playoffs since Kevin Garnett left. Last season was decimated by injury. Love and Rubio to start the season healthy. Minnesota has a great balance of size inside, shooters and point guard play. If they can play some defense look for them to make the playoffs this season. Timberwolves doing work today, first Chase Budinger and now Kevin Martin. Kevin Love wanted shooters, they got shooters. It is really hard for me to put Memphis this low, but I cannot put them any higher. I do not understand firing your head coach after making it to the conference finals. This Grizz remain virtually the same team, while the top 5 teams all improved. Memphis may be the 6th seed, but they are far from an easy out in the playoffs. Many people want to put the Warriors in the top 4 in the West this season. Golden State is the trendy pick to make the finals, I see it a little different. 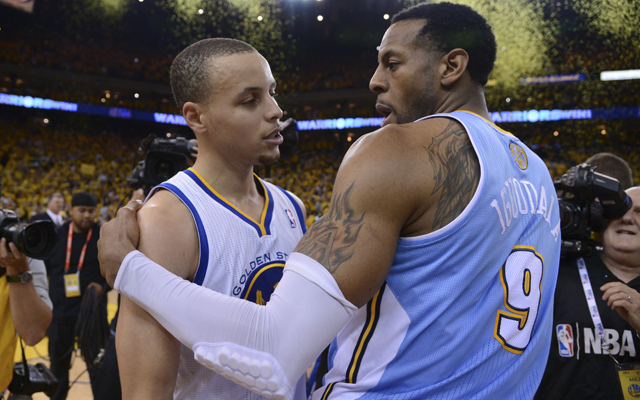 The lose of Carl Landry and Jared Jack cannot go unnoticed, but they did sign Andre Igoudala. With the addition of A.I. Barnes will be moved to the bench. Look for Barnes to excel as a 6th man and Kent Bazemore grow up before our eyes. I like Golden State this year and see them battling with Houston in the first round. Did signing Dwight Howard make the Rockets the over-whelming favorites to win the West? No - but it did make them a legitimate contender. Look for Harden and Howard to develop a great inside-out game. Houston will be the same run and gun team, but now they have brought an elite defender, to help slow down there opponents. VIDEO: Rockets' Rank In Western Conference? Look for the defending Western Conference Champions to be a legitimate contender again. 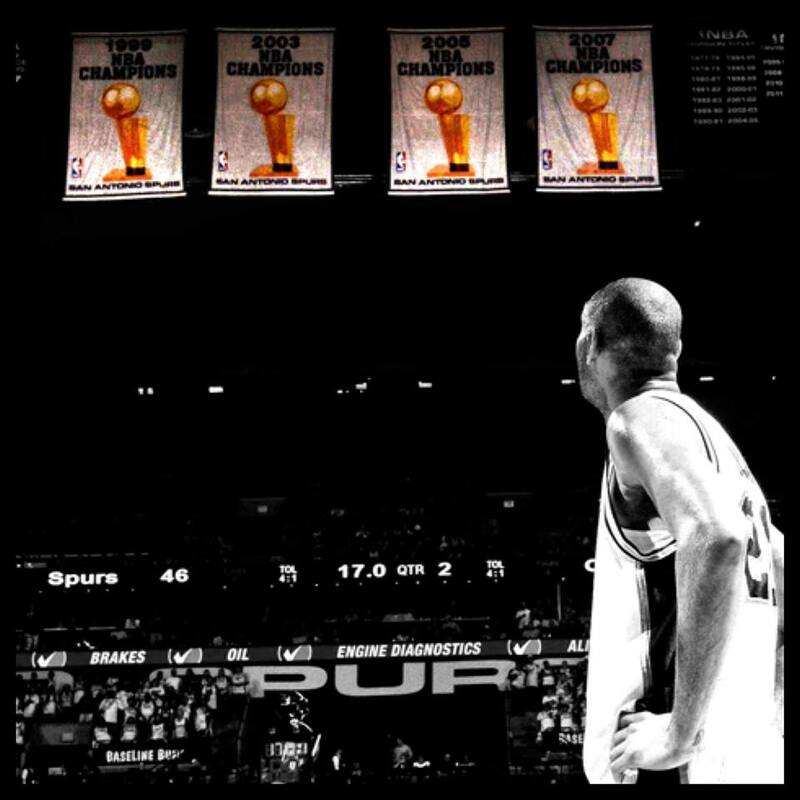 Look for Pop to expand Kahwi Leonard's role on offense and Tim Duncan to be the same steady Tim Duncan. Ginobli will play less minutes and stay fresh for the playoffs. You can never count out San Antonio as long as Pop is the coach and Tim Duncan is on the Roster. OKC has the best player in the Western Conference, Kevin Durant. Look for KD and Westbrook to come out firing next season. Jeremy Lamb and Reggie Jackson will both have expanded roles and be key to their success. 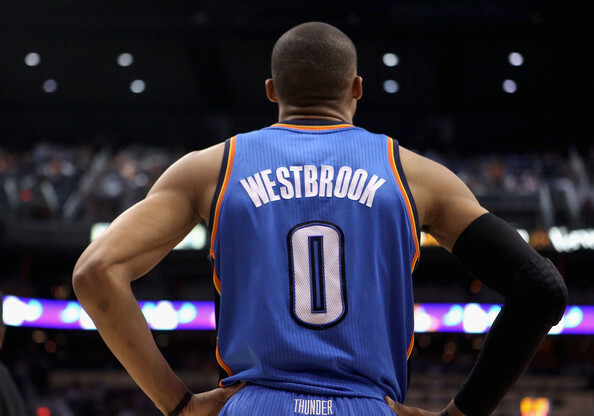 The Thunder are the most balanced team in the NBA. They can run with anyone or grind out a win against anyone. Look for them to battle for the Western Conference Championship. This is my most controversial pick. The most under-rated and best move of the off-season was the LA Clippers bringing in the 2nd best coach in the league, Doc Rivers. The Clippers re-signed CP3 and surrounded him with shooters. Blake Griffin has taking a lot of criticism this off-season, look for him to have his best season as a pro. 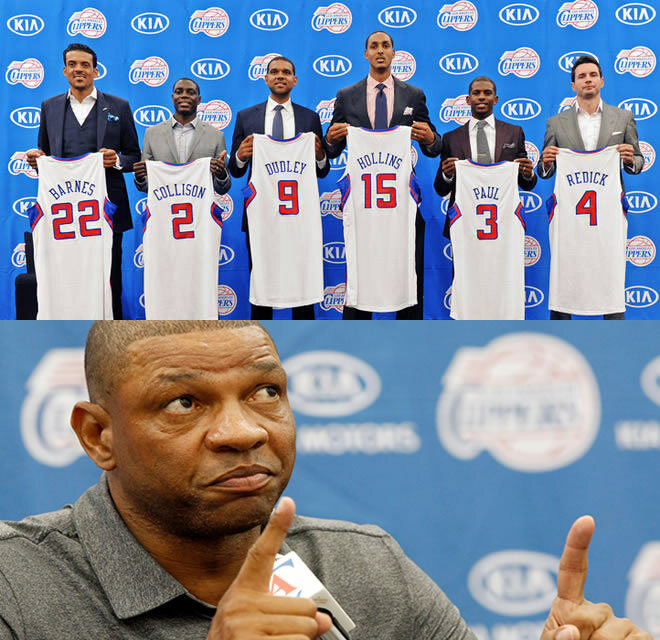 I am going out on a limb, but I really like The Clippers winning the west this year. The West has always been a strong conference, and that will not change come 2013-14 season. Predictions for the Top 8 NBA teams in the Western Conference before the 2014 Playoffs.